Let's go to Brian Fantana who's live on the scene with a Hockey Plumber News exclusive. Brian? "Hey, you're making me look stupid. Get out here, Airplane Jerk!" The agent for Jaromir Jagr said today that Jagr is en route to the United States and will inform of a decision on his NHL future late this afternoon. "He is flying to New York (from the Czech Republic) right now," agent Petr Svoboda said. "He is coming this afternoon and will tell us his answer then." Svoboda said he talked to Jagr last night about the Pens' offer, and that Detroit and Montreal are also known to have made offers. Jagr is not expected to arrive in the U.S. until at least 3:30 p.m. Svoboda said he expects to know Jagr's decision within an hour of his arrival. It's speculated that the Penguins' offer to Jagr is in the $2 million range for one season, although GM Ray Shero would not confirm the dollar amount. "[Today] is decision day," Shero said. "We'll see what he does. ... He's got all the information he needs from us [to make up his mind]..."
"We feel he's a guy who can help us this year," Shero said. "And then retire as a Penguin." Everyone is expecting a decision by 5pm today. 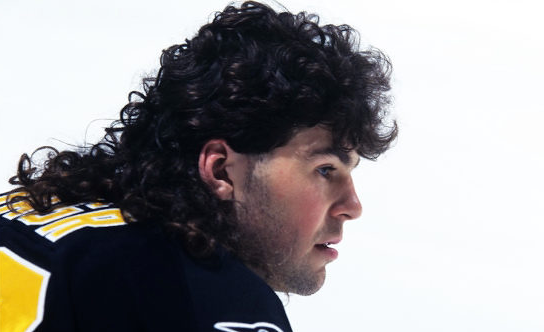 Jagr has never been one to give out just what is expected, so who knows how long this could all drag out. The Red Wings are still in the mix, and it is assumed that Montreal or another team may still have some input regarding Jagr's decision making. 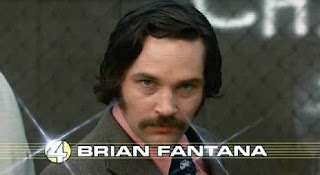 One thing is for sure though, Brian Fantana will be on top of this story until the very end!